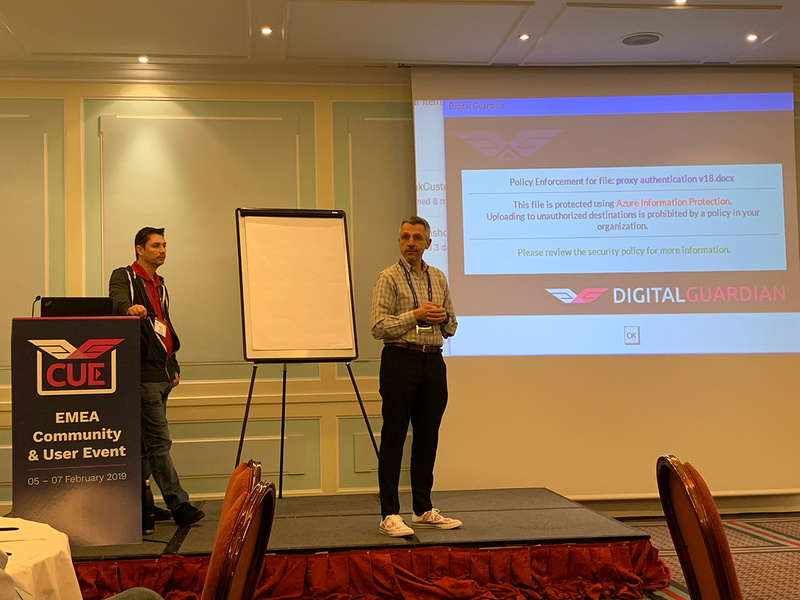 We’d be remiss if we didn’t take a few moments to look back at not one but two Digital Guardian successes last week in Lisbon: our EMEA Community & User Event (CUE) and our EMEA Synergy Partner Summit. We were pleased to kickstart the week on Tuesday with our EMEA Synergy Partner Summit, an event that allowed us to provide insight to a number of our valuable partners. We were able to share our vision for 2019, our continued commitment to the channel, recent product enhancements, and an overview of our EMEA partner landscape. Our award-winning Synergy Partner Program provides partners with tools designed to empower providers, MSPs, and systems integrators and we’re excited the Partner Summit has become a positive extension of that program. As for our Community & User Event, this was the first time we held CUE for our European customers and partners and we’re positively ecstatic with the outcome. 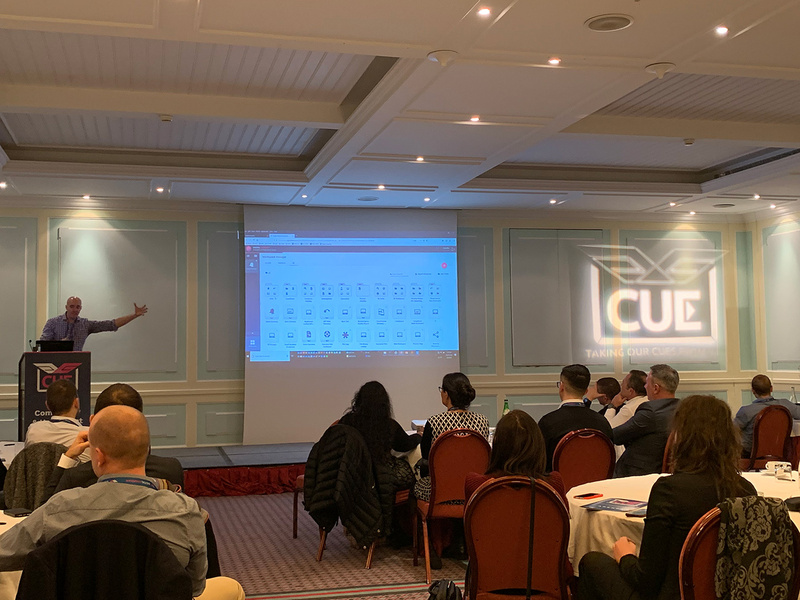 Like the North America event, EMEA CUE, held at the beautiful Pestana Palace Lisboa, provided an excellent opportunity for our customers, partners, and keynote speakers to convene and discuss all things data protection. We were thrilled to have Adam Bell, Security Program Manager at Microsoft, as CUE's keynote speaker. As part of his presentation on Thursday, Adam highlighted the benefits of combining Digital Guardian with Microsoft Information Protection, including the wins from that can come from deploying data classification, policy creation and enforcement capabilities. 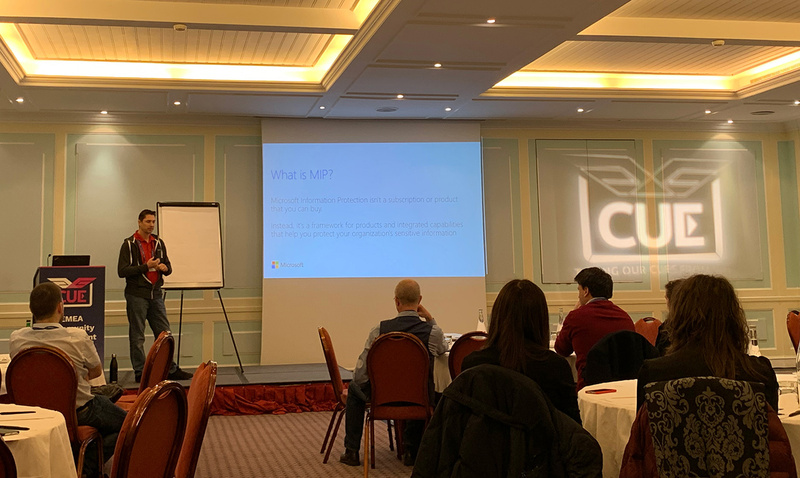 Tony Themelis, our VP of Product Management, joined him and walked attendees through how joint DG and Microsoft customers can extend their data protection policies to apply controls to label and protect files across all operating systems. On Wednesday, James McCarthy, our EVP Global Sales, and Jan Van Vliet, our VP & GM, EMEA, discussed Digital Guardian's recent move to the cloud and how it will benefit European customers. The two also explained how the DG Cloud, aided by DLP, EDR, and UEBA, can help organizations inform their overall security posture. Also on Wednesday, Mark Stevens, our SVP, Global Services, described how to successfully transition to a Managed Security Program and how doing so can help organizations maintain compliance in the face of changing data protection regulations. In addition to sharing stories from the data protection trenches, CUE attendees also got an update on recent updates to the product architecture. Dave Karp, our Chief Product Officer, broke down how our recently released behavioral analytics capabilities can help organizations assess risk in real time. Tim Bandos, our VP of Cybersecurity, also joined us to highlight why Digital Guardian was named a Leader in Forrester’s EDR Wave for 2018. Tim walked the crowd through Digital Guardian's powerful Endpoint Detection & Response capabilities, demonstrated how to identify and neutralize an attack, and how our data protection platform can help threat hunters detect and remediate evil. 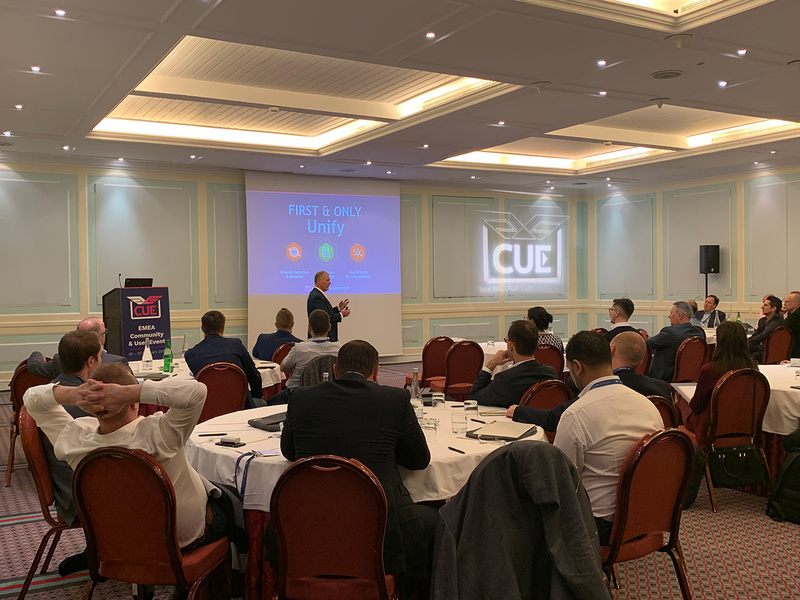 The event was a successful extension of CUE, where customers and partners alike were able to learn about data security through first hand shared experiences. Join Digital Guardian at RSA Conference 2018!